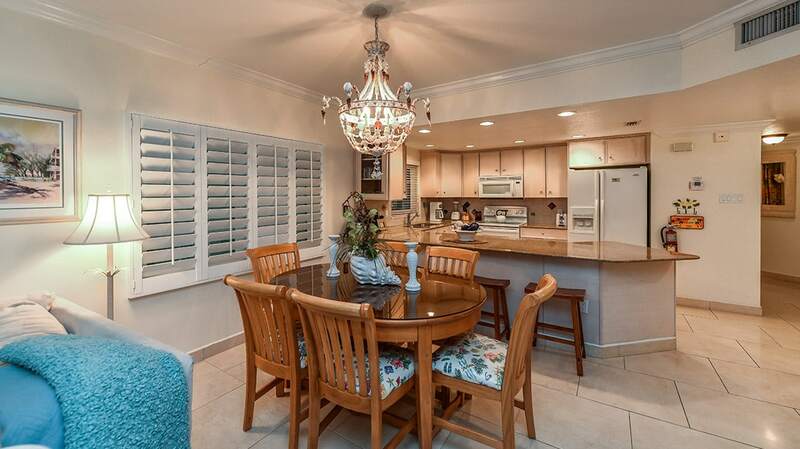 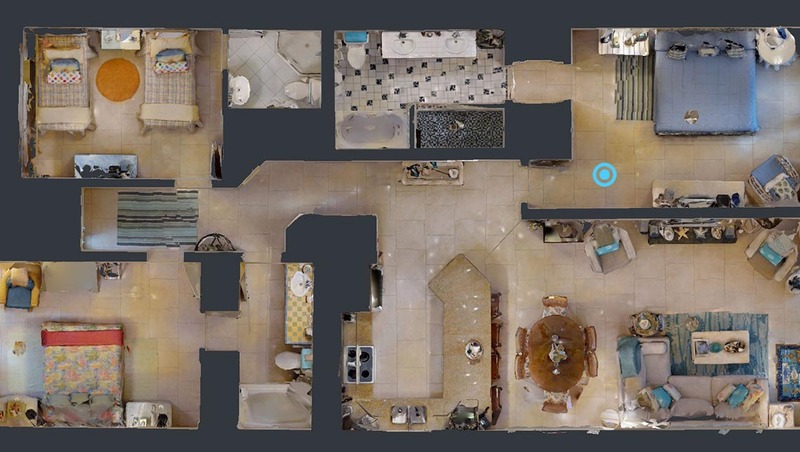 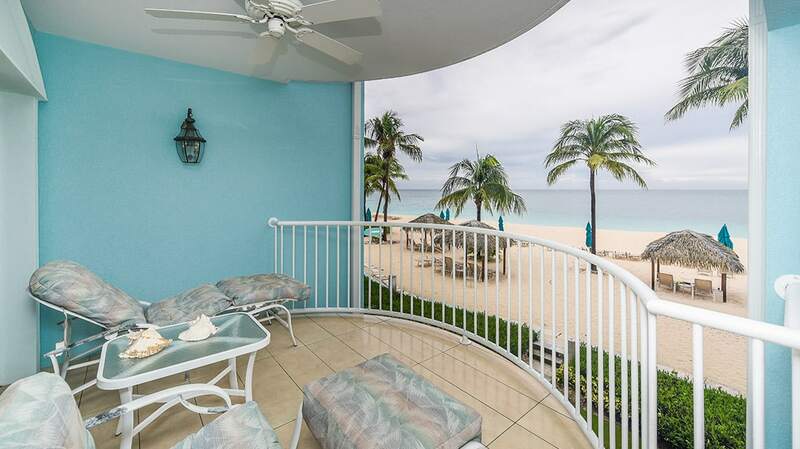 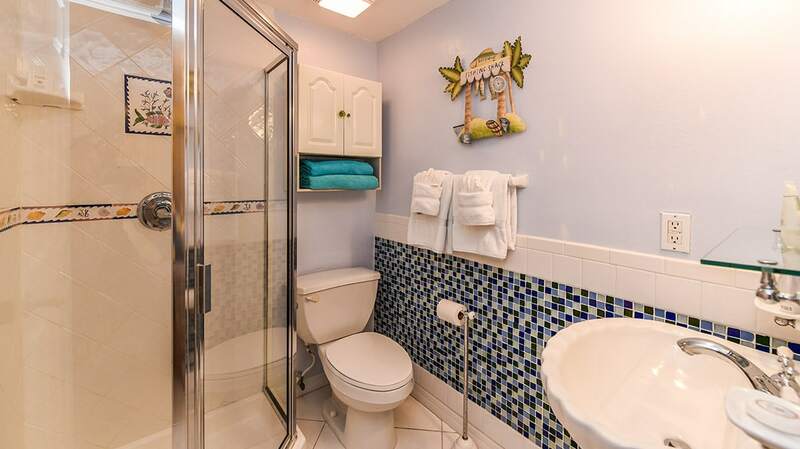 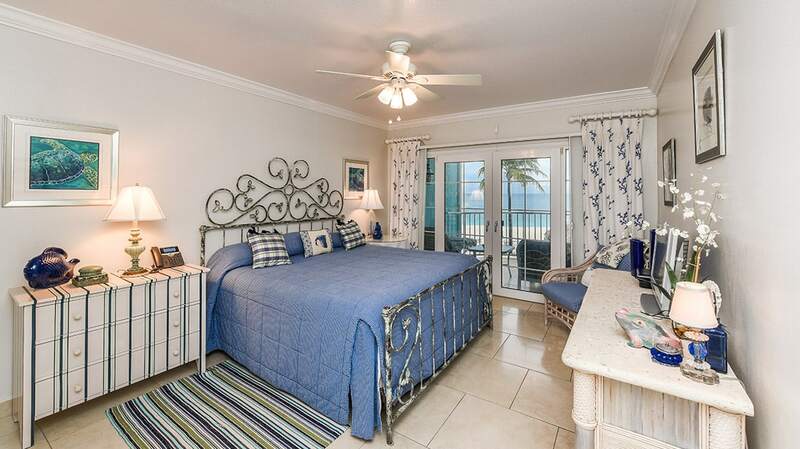 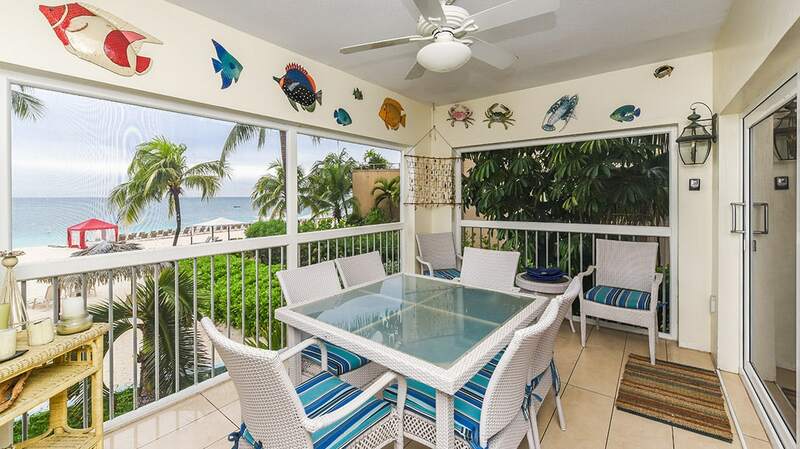 In a corner spot that looks directly onto the Caribbean out front and up Seven Mile Beach and beyond on its side, this Grand Cayman condo offers a beautifully tiled main bathroom that will refresh and delight you every morning. 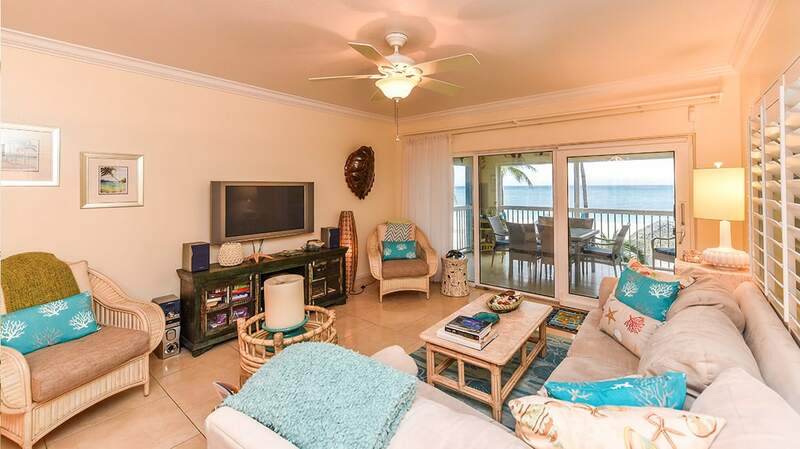 Bright and colorful accents throughout this condo will remind you of the spectacular (yet relaxing) energy of the magical Caribbean. 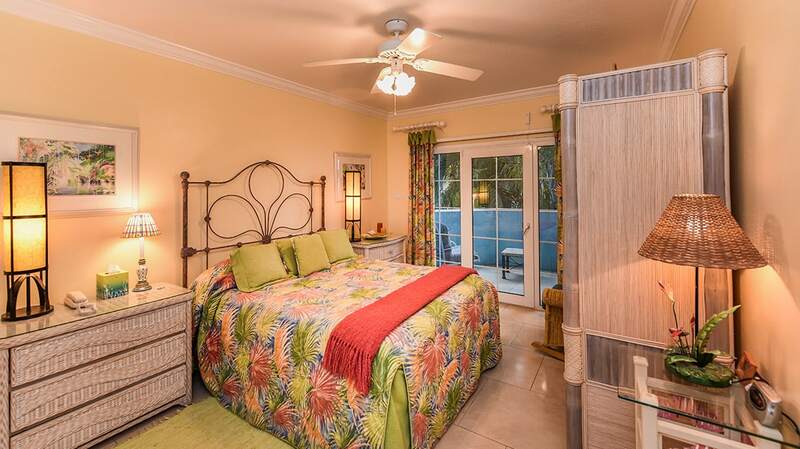 Perhaps the most colorful and festive of all three bedrooms, the master bedroom comes with a king-sized bed. 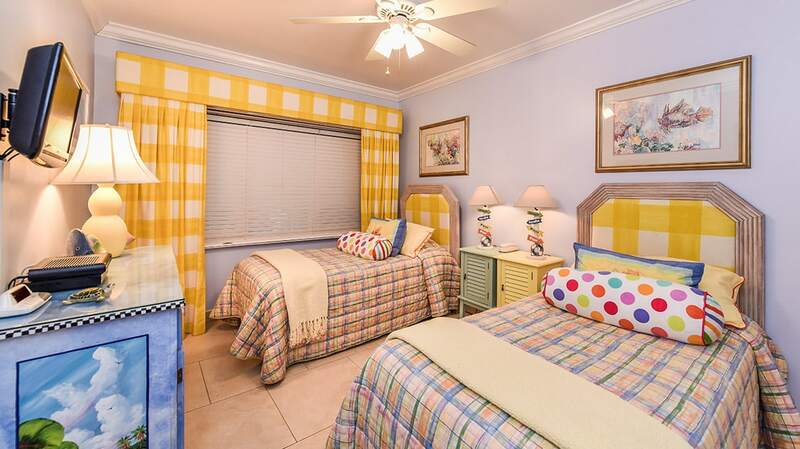 Then you’ll have one guest bedroom with a queen-bed, and a third bedroom with two twin beds. 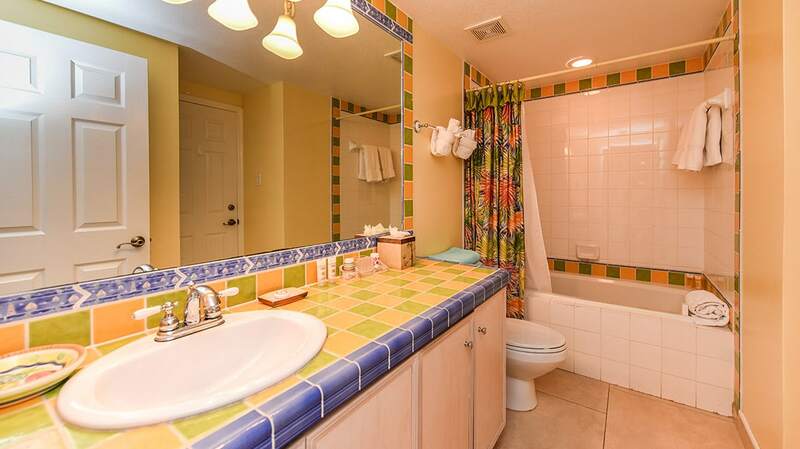 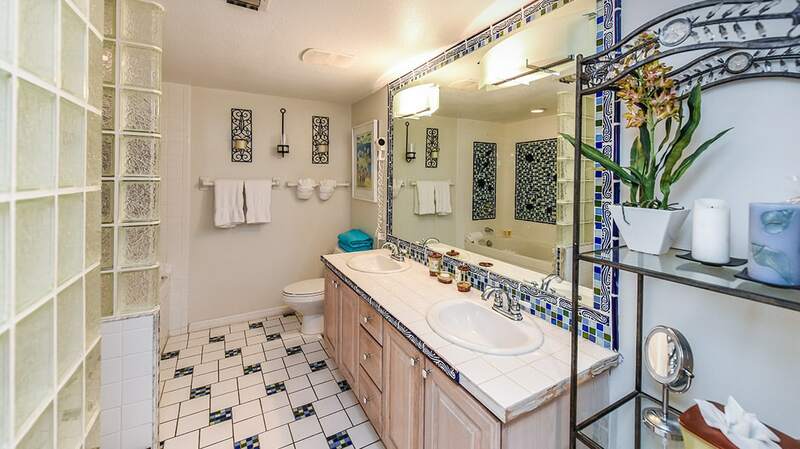 Three full and modern bathrooms complete this 1,800 square foot oasis in paradise.